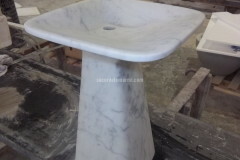 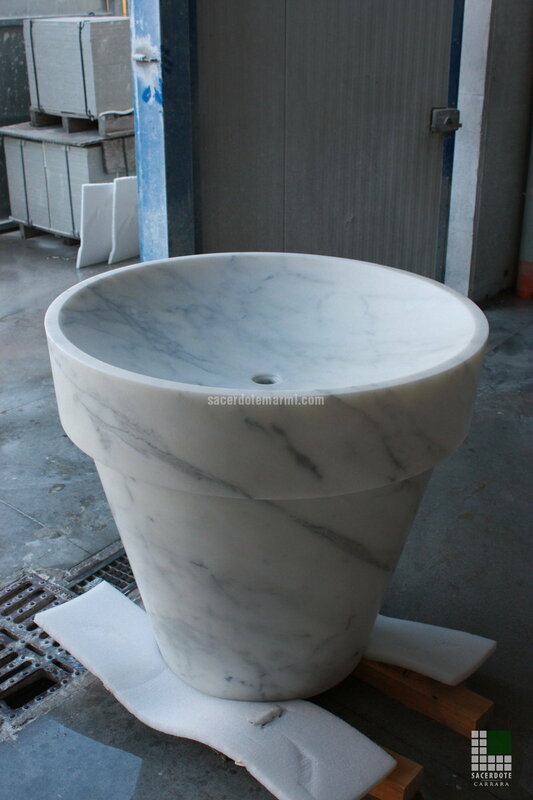 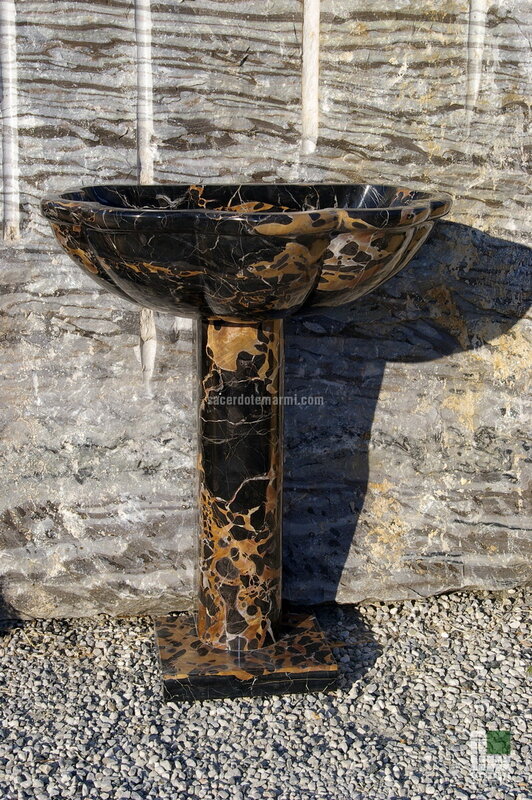 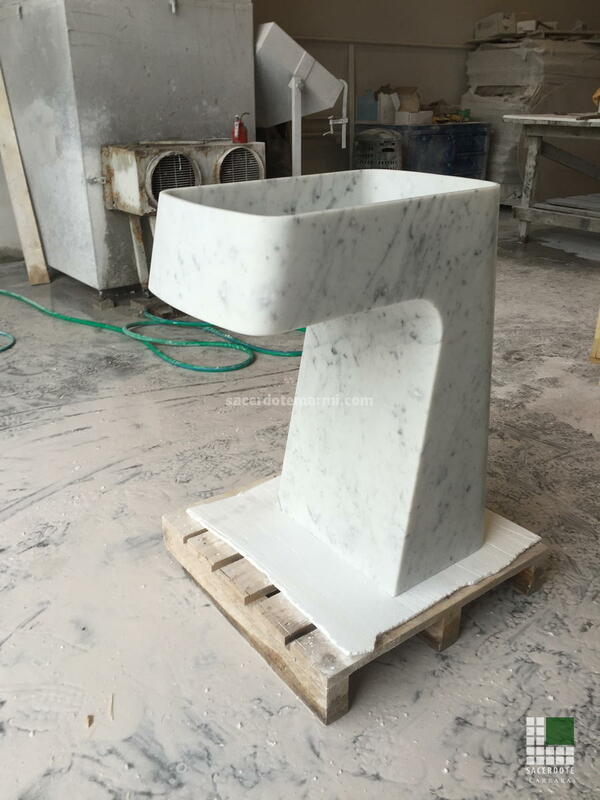 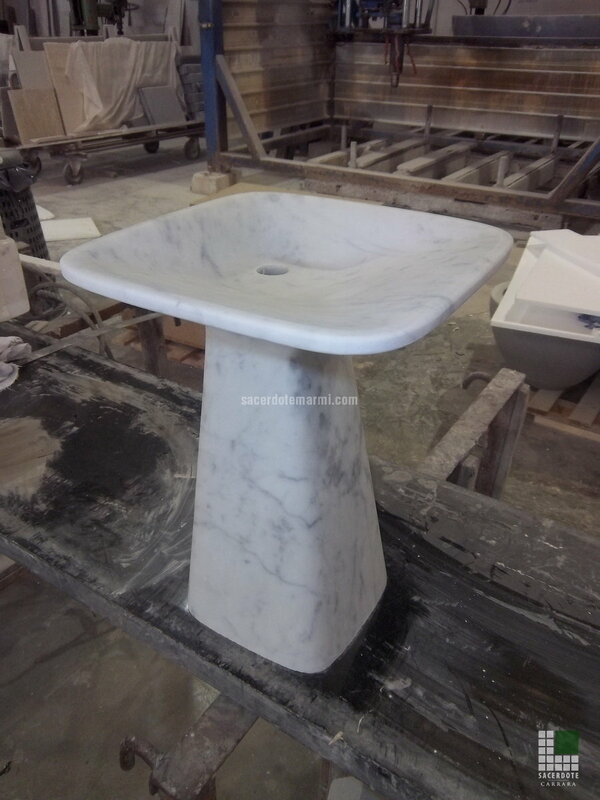 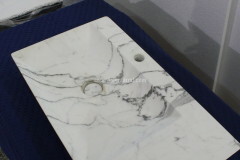 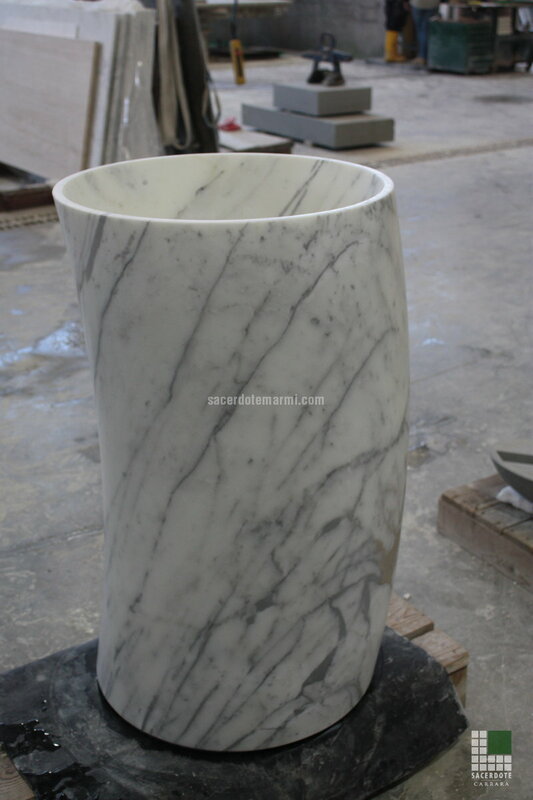 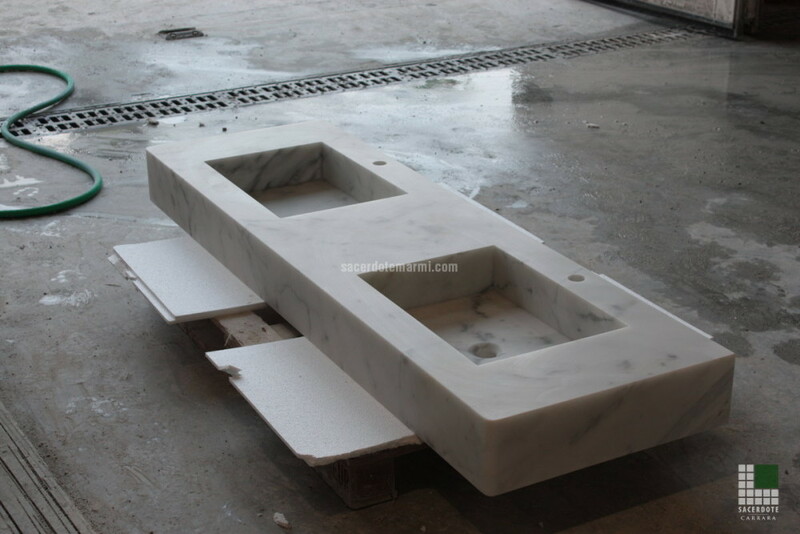 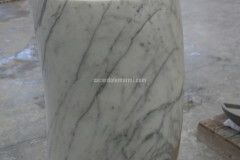 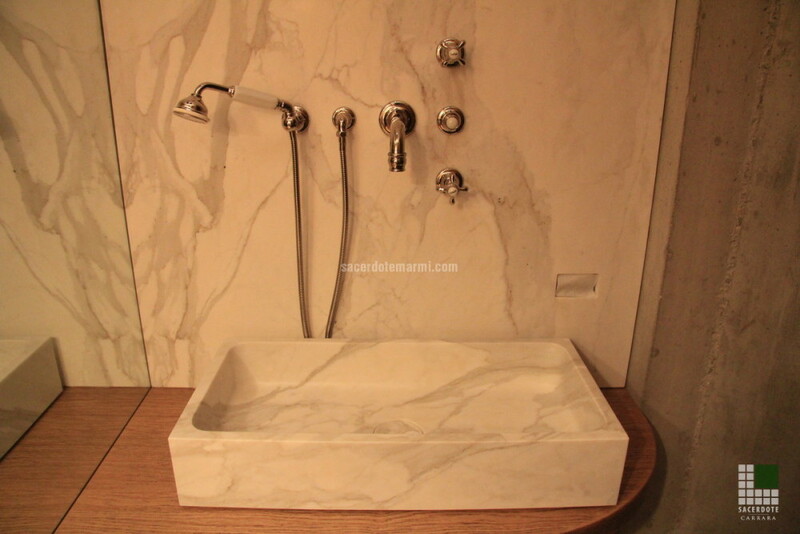 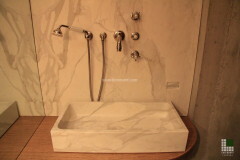 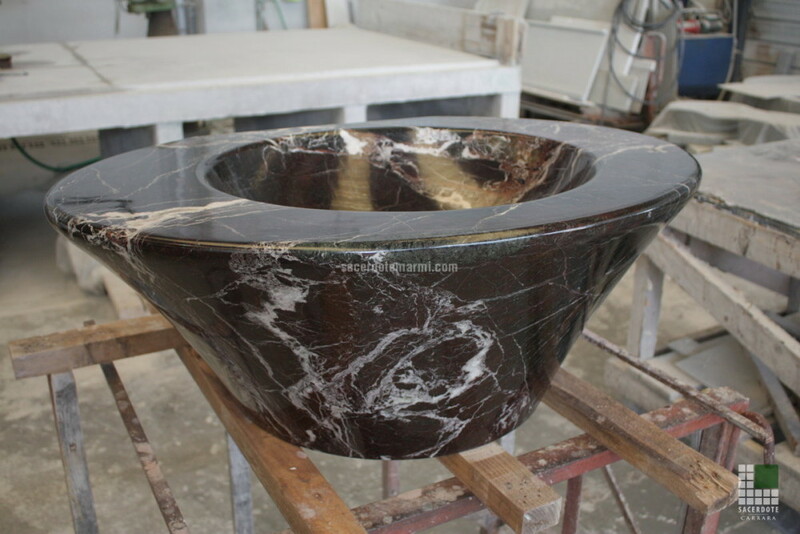 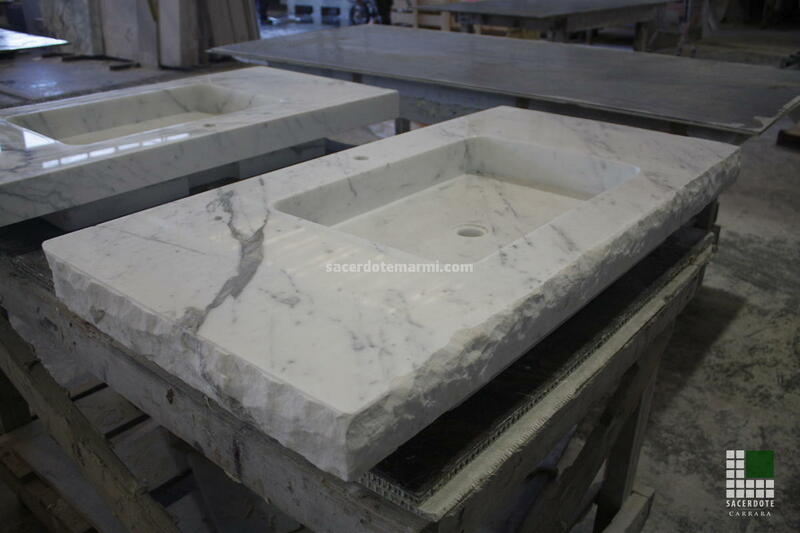 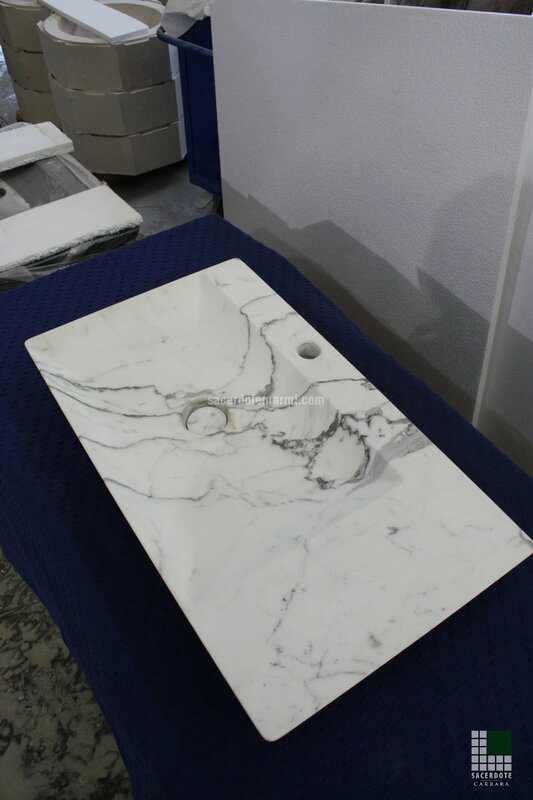 Our Company produces washbasins of all shapes and sizes: freestanding, overcounter or wall hung washbasins in marble, onyx, stone or granite, realised following each specific requirement of the customer. 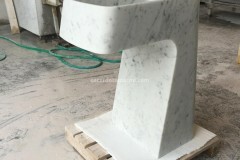 Moreover we can carry out particular processing techniques, for example we can hide the drainage pipe, employ the overflow technique (under favourable conditions) or apply processings to lighten materials, etc. 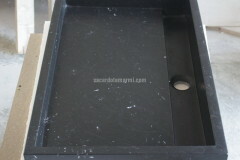 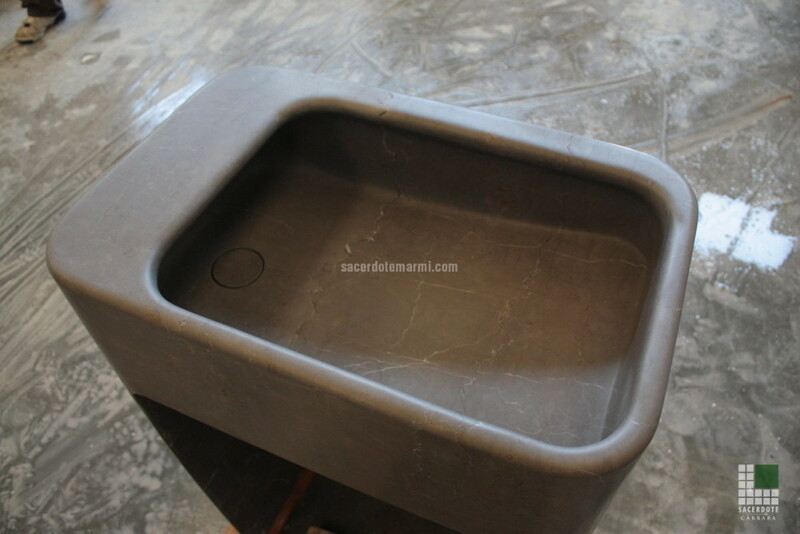 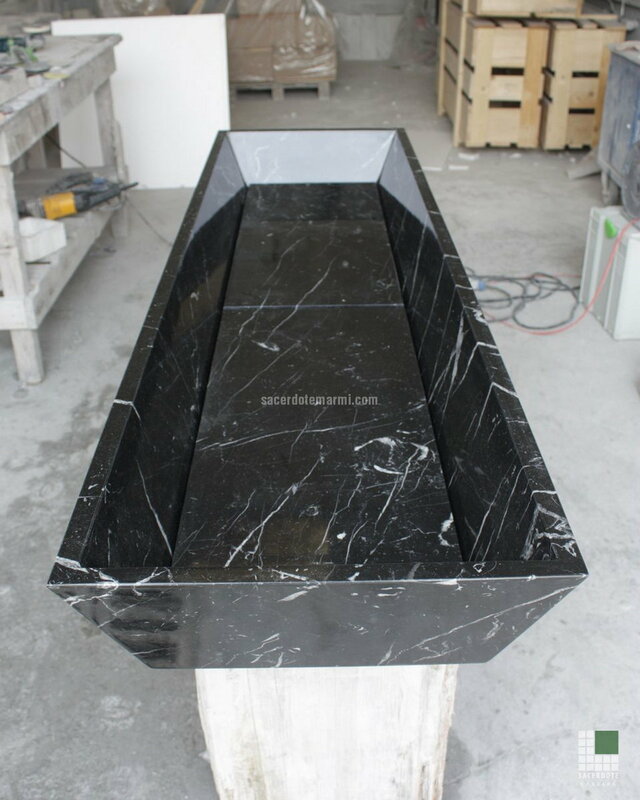 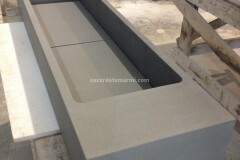 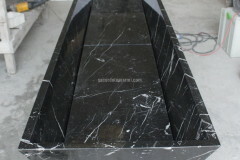 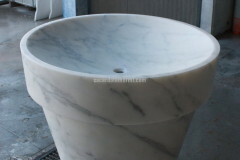 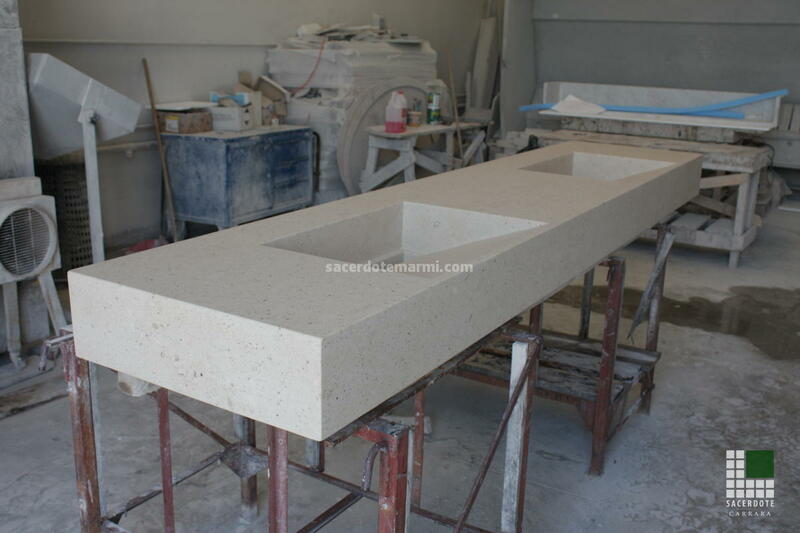 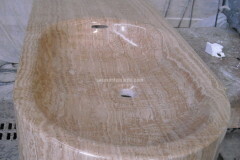 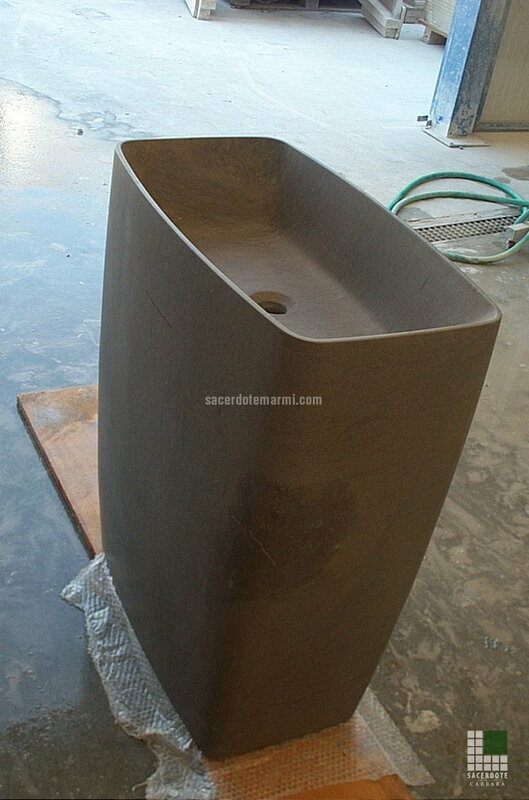 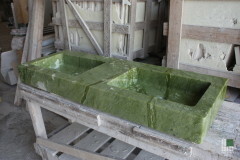 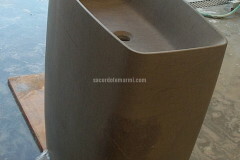 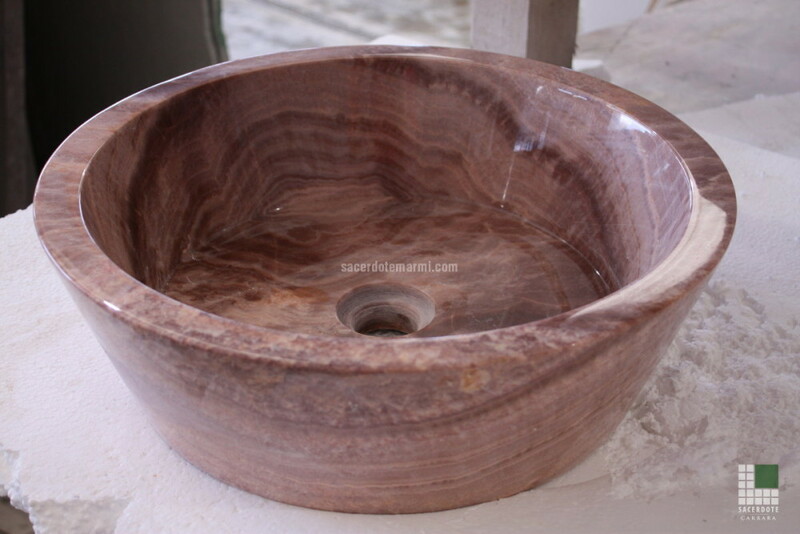 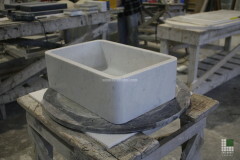 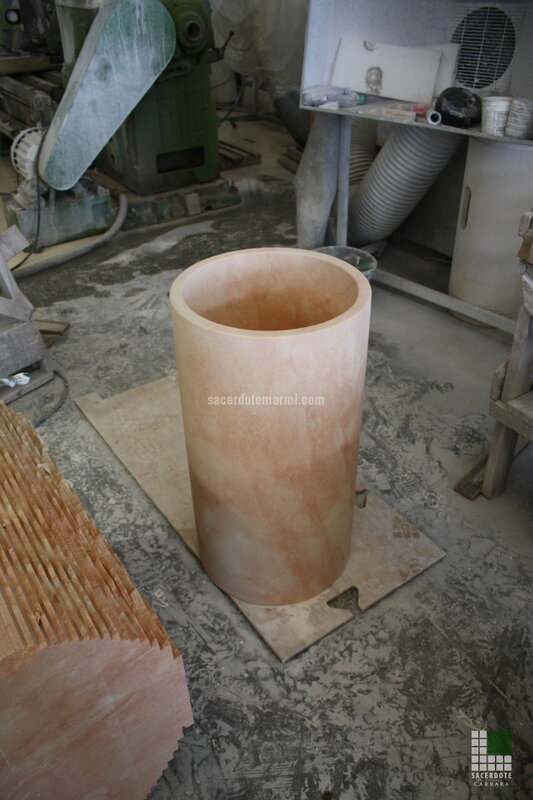 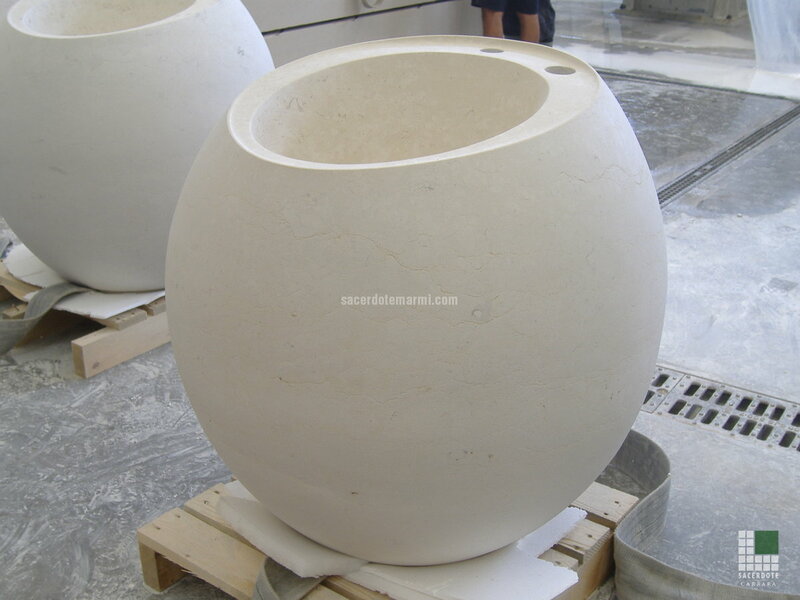 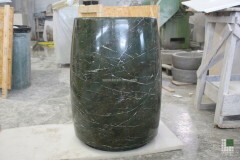 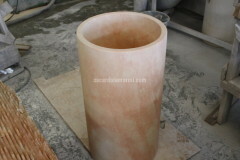 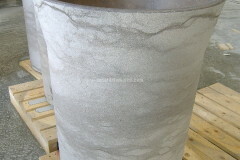 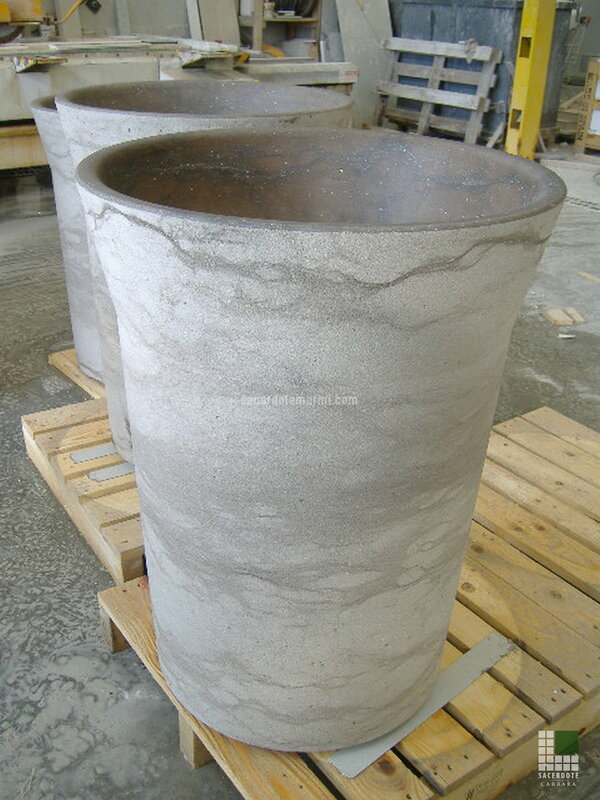 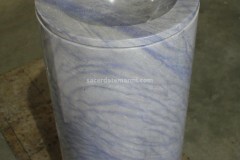 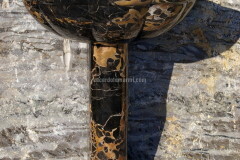 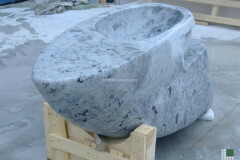 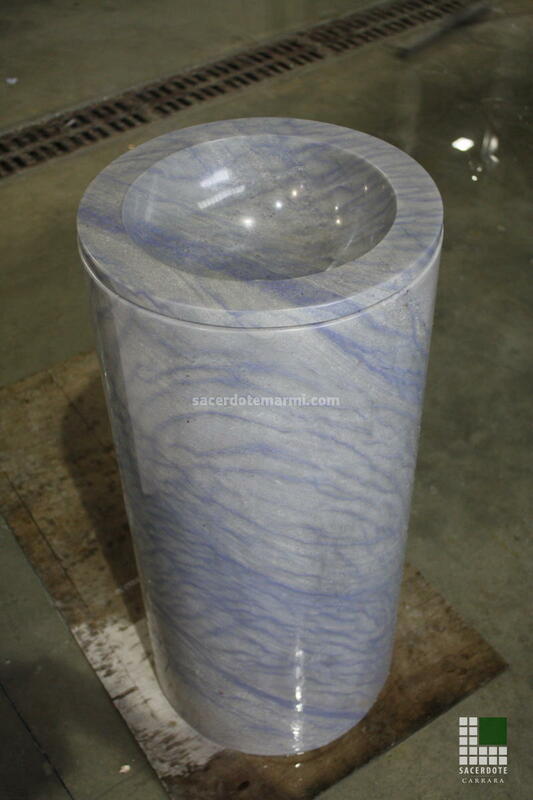 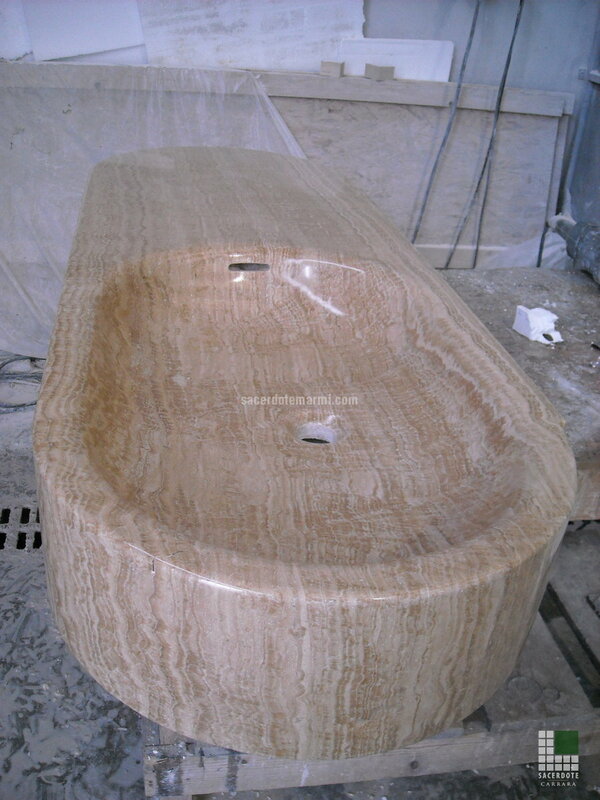 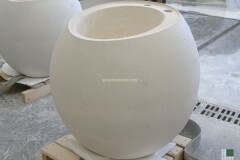 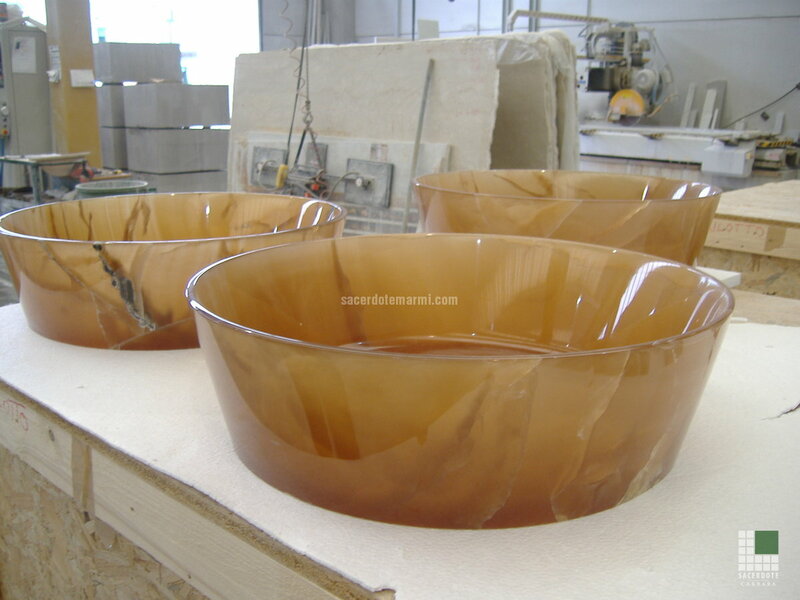 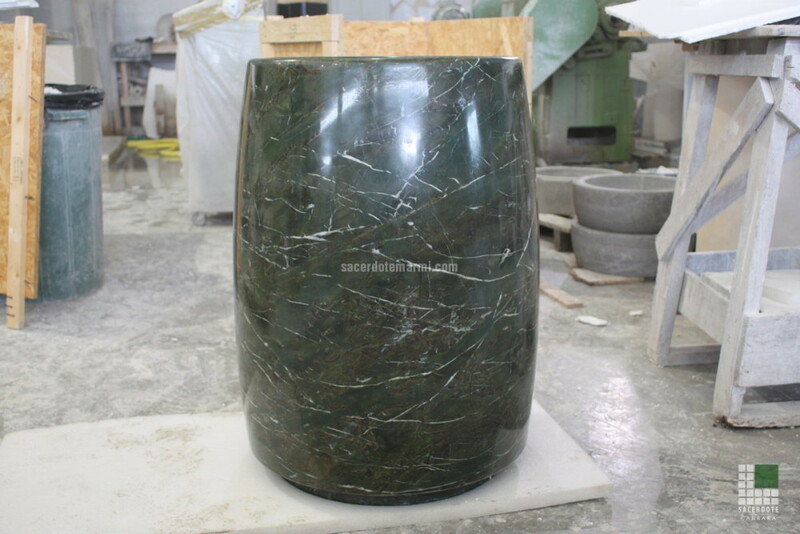 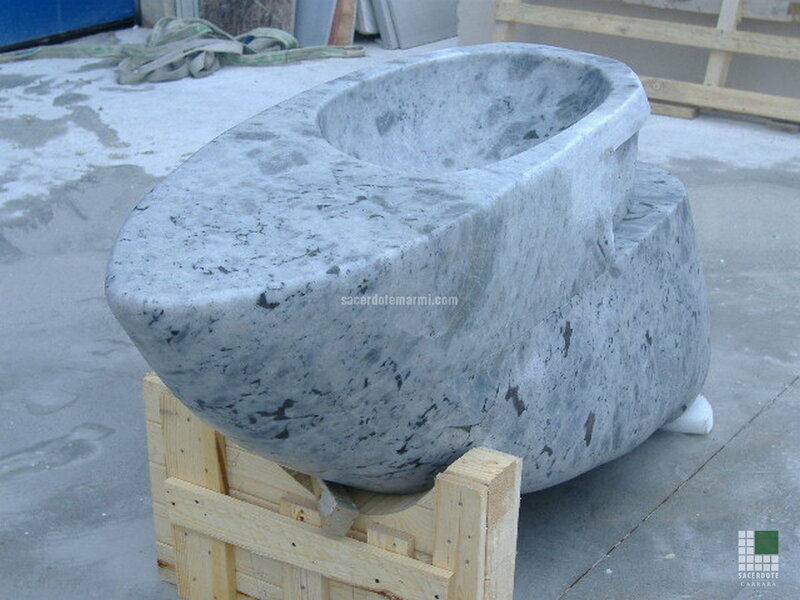 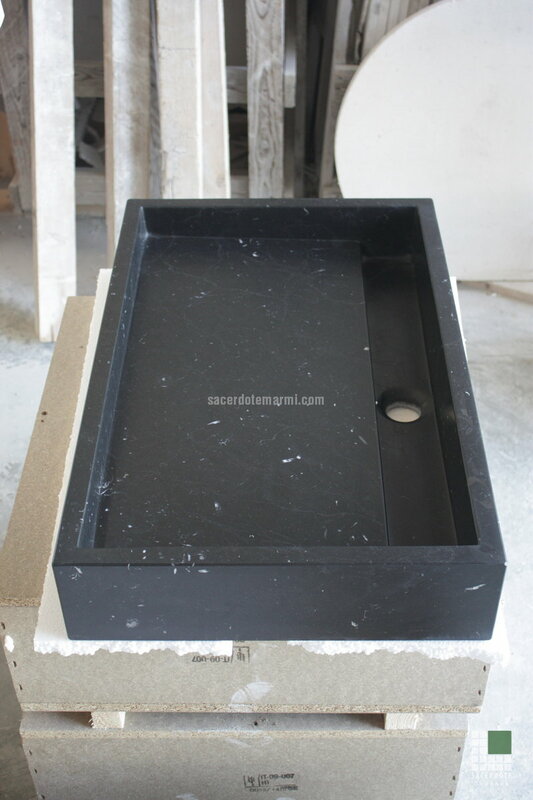 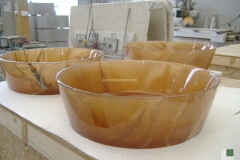 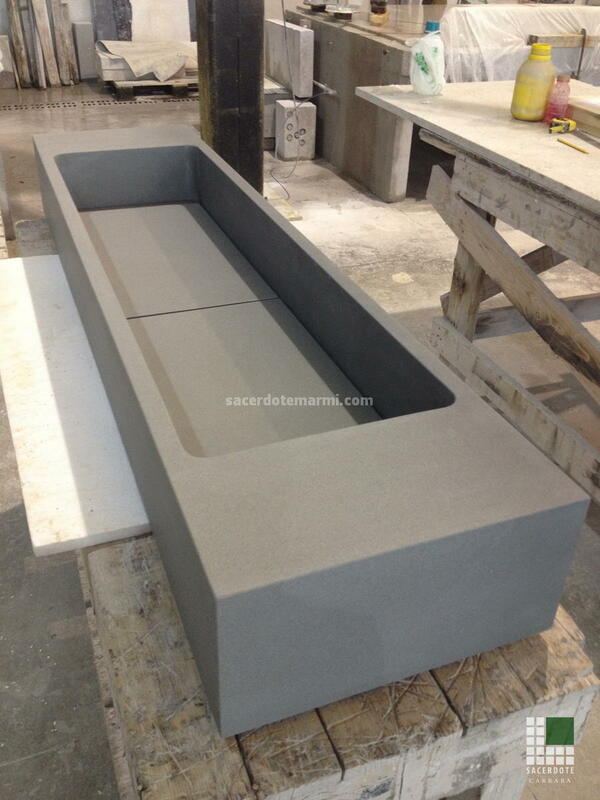 We carry out mainly monolithic washbasins: we can realise assembled washbasins as well, by means of the bonding technique, but usually we do not recommend it, unless for some particular technical or economical reason, since it does not guarantee either the durability or the aesthetic effect of the same element realised from a monolithic piece.